As we all know producer G Prathima is making a new film starring Karthik Raju and Mishti Chakraborty under Wings Movie Makers. 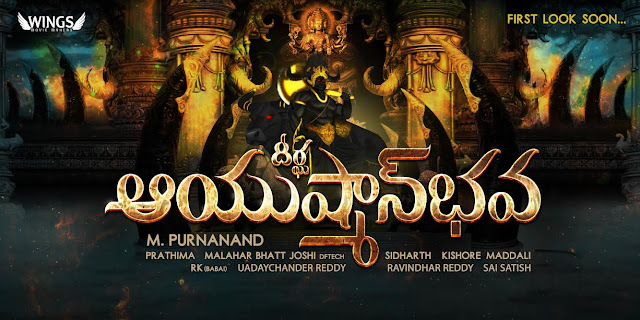 M Purnanand is directing the movie. This socio fantasy entertainer’s title has been finalized as "Dheerga Ayushman Bhava". Today, the film unit has launched title logo.